What an autumn it has been for Tecinspire! Earlier we wrote about Google Cloud Startup Program and Tekes Funding. Now we continue to grow with a new employee, new customers and new gadgets. Latest news is that we head for Slush100 competition. Tecinspire crew autumn 2017. Joni Glad on the left joined Tecinspire in the end of October. We are heading for Slush. Yesterday we got great news that we have been selected to Slush100 program! Slush100 is a competition for the most promising 100 startups of Slush 2017. It’s 3-day event including mentoring, networking, investor meetings and pitching competition. We also head to official side-event Smash. This 2-day event is dedicated to sport, technology and start-ups. 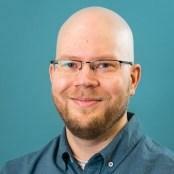 Joni Glad has joined Tecinspire as Software Designer. Joni will strengthen our development forces and work mainly with App2Day. We are so pleased to have Joni now onboard. 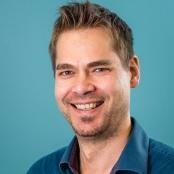 “I’m very excited that I have been given the chance to join the great bunch at Tecinspire. Joining a growing startup as an aspiring software designer is an amazing opportunity. The crew at Tecinspire made me feel very welcome from day the 1. It’s an amazingly positive and supportive atmosphere and space to work at. I’m very eager to jump straight into App2Day development and other future projects. Teemu has a brand new laptop: “I have always used Windows machines. I’m always keen to learn new things. Now I will learn how to fly high with this Mac”. We bought new monitors to everyone to ensure efficient work. 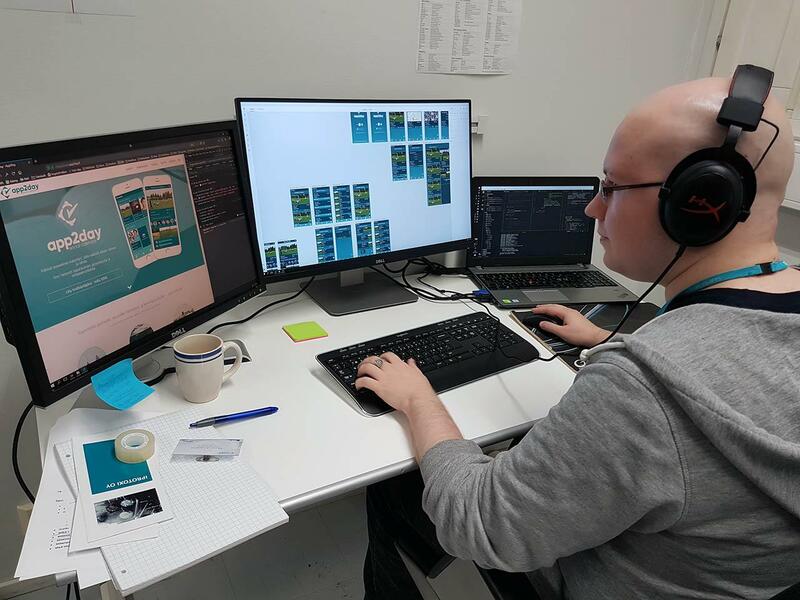 In this picture Matti is designing new and more visual user interface for App2Day. 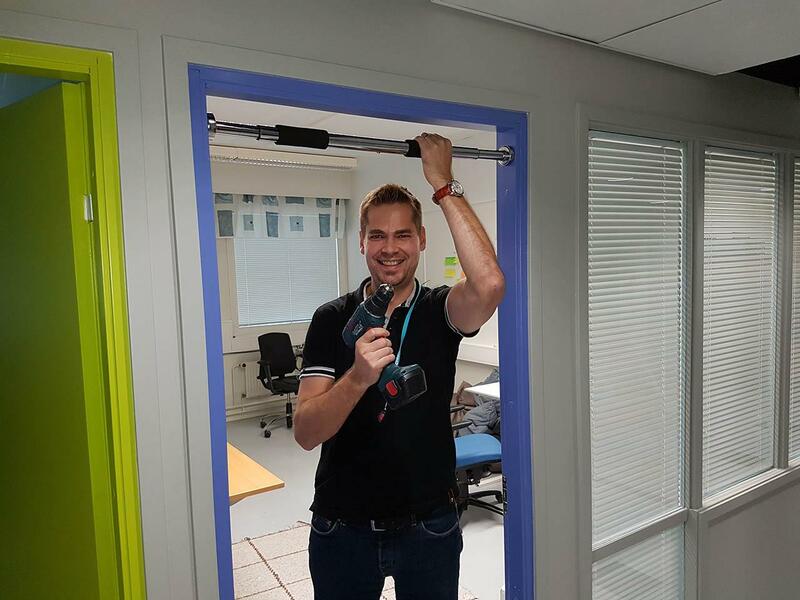 Teemu installing a horizontal bar to our office: “Well-being at work needs daily actions. With this one we can stretch and work our backs and shoulders. This and company offered monthly massages are just examples how we take care of our employees”. –> If you enjoyed reading this article, please share, like or comment below. Related update in LinkedIn has now 4897 views and 148 likes. Thanks for support!